– 1 x Ride of Your Life flight (10-minute flight time) with a pilot from the Matt Hall Racing Team in the 300 horsepower Extra300L – the fastest, most powerful and maneuverable two-seat aerobatic aircraft in Australia! 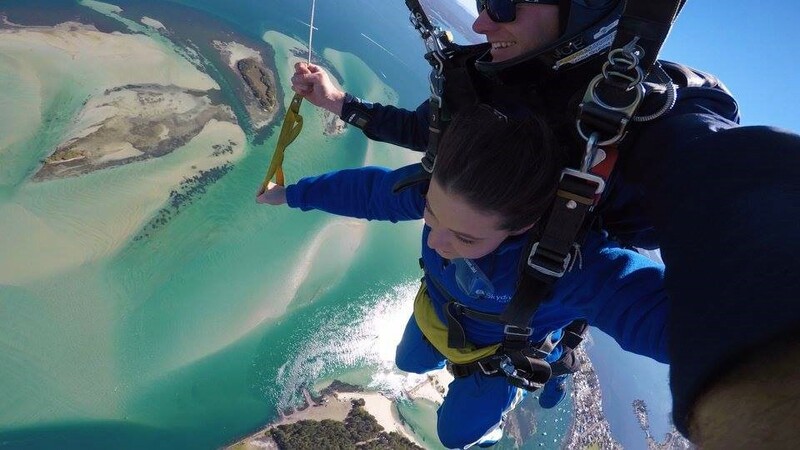 – 1 x 14,000ft tandem skydive with Skydive the Beach and Beyond Newcastle at Lake Macquarie Airport. *Views may vary dependant on weather, cloud and noise abatement considerations. Experience the thrill-a-minute flying in the 300 horsepower Extra 300L – the fastest, most powerful and maneuverable two-seat aerobatic race aircraft in Australia with one of the specially trained pilots from Australia’s only Red Bull Air Race Team, Matt Hall Racing. If one adrenaline activity isn’t enough for you, follow it up with a freefall over the gorgeous Newcastle from 14,000 feet at over 200 km/hr for up to an insane 60 seconds, and then float under canopy for 5-7 minutes soaking up the spectacular beach and city views. NB: Please allow approx 3hrs to complete both flight and skydive. If you purchase the media package (valued at $99.00), please note this is only for your Matt Hall Racing flight experience. 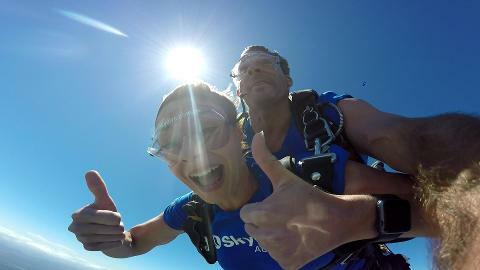 If you wish to purchase a media package of your skydive, please contact Skydive Australia.